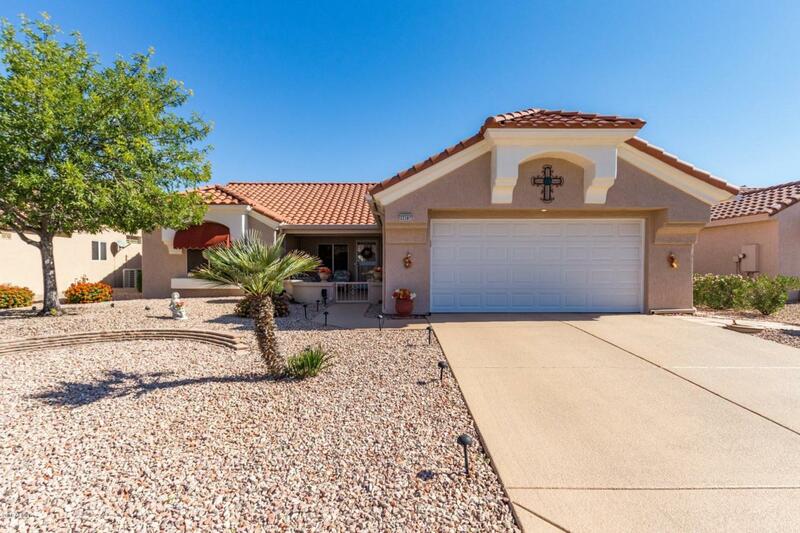 Meticulously maintained Payson floor plan has been expanded in all the right places. Pride of ownership shows from curb appeal to every room in the house. Spacious split floor plan with lots of natural light, neutral palette, plantation shutters, plant shelves and beautiful wood flooring. Kitchen has lots of cabinets, pantry, breakfast bar and newer SS appliances. Additions include office space off of kitchen, great room and foyer expansion. Generous sized master bdrm with full bath en suite including double sinks, jetted tub and walk-in closet. Immaculate garage boasts attached cabinets, epoxy/rubber floor and utility sink. East facing backyard features built-in BBQ, large patio and low care desert landscape. HVAC replaced 2017 & exterior painted 2017. Not in an HOA. Come see today!